We all know that Boca Raton summer heat is hot. With the temperature creeping triple digits it can feel sweltering, especially with a broken ac! The constant sunshine in the Sunshine State causes a lot of problems with air conditioning repairs. The quality of the life inside your house depends on the quality of your air condition installation. It is absolutely necessary to have a central ac unit or at least a window unit in South Florida. If your AC breaks during a nasty mid-summer heat way, things can get uncomfortable in a hurry so call on A+ Air Conditioning to get you cooled off. Its very important to have a Local Trusted Professional HVAC repair technician programmed into your cell phone! A+ AC specializes in heating and air conditioning repair, commercial HVAC, and professional AC Installs. We stand by our customers in and around Boca Raton, Fl. Whether you are in Pompano Beach, Weston, Hallandale Beach, Pembroke Pines, or even Boca Raton: A+ Air Conditioning is the AC REPAIR NEAR ME always call us first! The price of an air conditioning repair may vary depending on the troubleshooted issue as well as the type of air conditioner in your home or place of business. A+ AC prices are absolutely competitive and our customer service is unmatched in the local area. Commercial HVAC troubleshooting, repair, and install is our main specialty. A+ Air Conditioning Services has been the top-rated commerical HVAC company in Fort Lauderdale and Boca Raton, FL. Are YOU in need of AC Repair? Some of the calls A+ Air Conditioning receives, the issue with the air conditioner is obvious-if you find the AC blows hot air or has just stopped functioning completely, it is obvious you need to call A+ AC Repairs. However, there are some issues that appear only to the properly trained and certified technician! Our belief is that every AC repair begins with a proper AC Tune Up. If you believe you are in need of AC Repairs, some warning signs might signal your attention. Understanding these early detections could save you a lot of cost of ac repairs and avoiding major problems with minor fixes! We see the typical lifespan of an air conditioner is about ten to fifteen years when the AC maintenance properly through a company like A+ AC. Just because it is not a Broken AC, does not mean it does not need a good tune up! Most older AC units need extra attention to keep them running strong. AC Replacements of old units can save you money on your electricity bill and peace of mind during the hot summer of Broward County, FL. Are you hearing a squealing, grinding, and other loud noises coming from you AC unit while turned on? Turn it off! Call A+ AC! If this is happening, you can experience a complete system destruction if not turned off, properly inspected, lubrication, and replacing of any damaged parts such as bearings before total hardware failure. Hear noises? Call immediately! If you air conditioning unit begins to have a smell to it such as moldy smell, it could potentially be the sign of mold and mildew growing inside the unit. If you smell burnt, it may in fact be burning wires or other malfunctioning components, so you definitely want to call A+ fast and quick! Any other smells within or projected from your HVAC system, its definitely time to schedule a AC Tune Up with A+ AC Repair Technician! As you have seen on your ac unit, condensation is normal while an air conditioning unit is on, but if you suspect a leaky hvac, this requires immediate AC repair. Water leaks are usually caused by a blocked or broken drain hose. Moreover, pooling bodies of water can cause mold growth and lead to corrosion. A HVAC refrigerant leak is the big concern here and is very serious. If not addressed immediately, refrigerant leaks can cause serious health concerns. Are you not feeling the power behind your air conditioners volume of air? Is the AC no longer chilling the space adequately? Most likely this is caused by a failing compressor, we see it all the time. Another common cause of poor air flow is blocked air filters or an AC duct repair need. All of these issues need to be properly troubleshooted by a professional AC Repairman. When you are hot, and in desperate need of an Emergency AC Repair, don’t expected to be chilled out by the other companies, they will leave you hot. 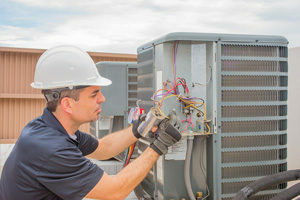 When you need a quick and efficient AC company to troubleshoot and fix the problem fast, whom are fully certified, highly experienced then you must call A+ AC Repairs. We will arrive prompty on time and in uniform to your home or business, equipped and ready to tackle any AC issue you might be dealing with! Whatever A+ AC Repair needs to do to get you back up and running! A+ AC tackles all jobs big and small from simple residential units, to large scale commercial 50 ton HVAC systems. We are here for you! Hopefully you are not in emergency air conditioner repair; it is very important to keep up with regular factory recommended AC Maintenance. The inspection of your HVAC System with its proper tune up should happen at least once annually. This is the ideal approach to keeping it operating efficiently and you will experience many benefits in doing so. A proper thorough maintenance by a certified technician will ensure that your system is running as smooth as silk by keeping all the hardware well maintained and replacing the air filters as needed. A poorly maintained Central Air Conditioning can increase your energy bill as much as 15% in a month! A simple inspection by our technicians at A+ AC will help identify minor problems before they turn into serious headaches and high repair costs! If you are ready to make your first central ac unit investment, or absolutely need to replace ac unit you have install, have no worries when you hire A+ AC for all your AC Install needs! Our certified technicians are Rheem specialists but are trained in Trane, Lennox, Mitsubishi, and many other HVAC brands. We have the leading experience with installing a wide selection of systems for you home or business of any size! Our team is trained to install for maximum efficiency and allows our customers to be the best cost for the cooling budget. Just like our AC repair team, our AC Install team can arrive fast, fully equipped and ready to get the job completed fast! We are committed to doing our jobs right every time, the first time as we strive for HVAC excellence! As the summer approaches, and the mercury starts to rise, call A+ Air Conditioning today. We are your trusted local reliable air conditioning company! 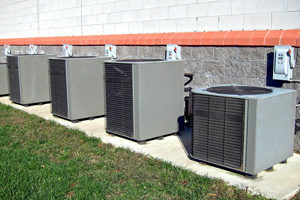 Do not allow yourself to go with the Cheap AC Install company to save a few bucks; bad installations can cost thousands! We are proud of our reputation as we have devoted to customer satisfaction in both commercial and residential AC Services! Simply contact us today and get the best ac repair in Boca Raton to cool you off!